With various interesting examples, Gaurav Pandey of Contentory.in sheds light on the power of Tiny Talks on social media. In 1984, a women who was travelling to UK from USA, got astonished by a “Random act of kindness” by a totally stranger British man who paid for her Soda, just casually, and In return asked her only to repeat “The random act of kindness for others.” This incident stayed with her forever thereafter. Randomly, sometime in 2008, she repeated this little random act of kindness in a Walgreens store to an elderly person who was standing behind her in checkout queue, and when asked, explained about it enthusiastically. On her next trip to the same store, she was surprised that the cashier recognizes her by her name because he was listening them talking. The little random act of kindness was spreading itself. And I’m sure he might have spread the words about “Little random act of kindness” within his friends & family as well. That’s the power of tiny talks. Even from years people have been using these tiny talks as a powerful tool for networking. We call these little talks ice breaker, because it allows two strangers, totally unknown of each other, fall in an engaging conversation that may lead to a good business relationship. 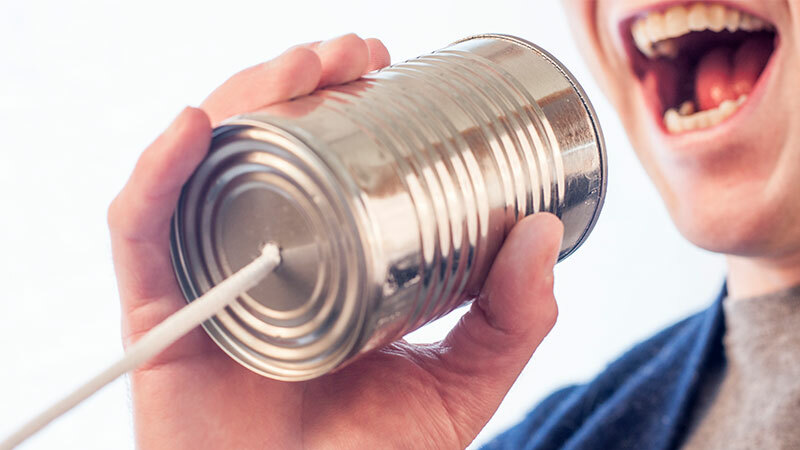 So why we don’t use these powerful tiny talks when it comes to social media marketing? The answer is, because we approach social media marketing with a biased mind for sales. And we literally kill any other potential that it can generate for our business in long term, in hope of a sale. So how can we use tiny talks in our favour? As they say, “the change always flows from inside out.” So we have to make some behavioural changes by practicing little talks to spark conversations in our daily routine. Try to engage people with tiny talks while commuting to & from work. Try to engage people during your morning walk… in a waiting queue… and you’ll find that talking to people randomly isn’t that tough, and is actually fun. In terms of social media, the social media trend is shifting from speaking & commenting to expressing. And the biggest concern of brands these days is to generate meaningful content that engage. And I believe this is where tiny talk can help, tremendously. Like if you are selling toys, you can give them voices. You can use your toys to design memes or one liners, where they appear talking and commenting on various real world things, or saying famous movie dialogs. You can use swag, fun, concern etc. as various emotional directions to sound sensible & relatable. No need to sale toys. They will sell themselves. Let’s take another more complex example. Like if you are a coaching institution which teach programming languages to students, you can use various programming language functions, as graphical character teaching you how to best apply them. Another complex example of an ecommerce store. Why I consider this a complex example is because these days most of the ecommerce companies are producing most boring content on social media. So, if you are an ecommerce store selling groceries, you can use videos to show time saving kitchen hacks (it’s OK to link to someone else’s video as well), OR a recipe one can make using your product of the day, OR 10 expressions of offline v/s online shoppers (I am talking about designing a meme, and not a photos hoot). I am only suggesting you what is feasible. If you go beyond obvious, the contenting is a feeling, it touches you & me, touch real lives, and make real impacts. Don’t just write. Influence the conversation. So you see, these tiny talks can actually make you look more human, someone who’s trying to talk to people, trying to have conversation, and not trying to sell. But for now, think about it. If you won’t change the way you approach social media, nothing will change.